Three 5mm clear bevelled glazed lights. Vertical glazed panels separated by raised beading. Unfinished- so ready for decoration. 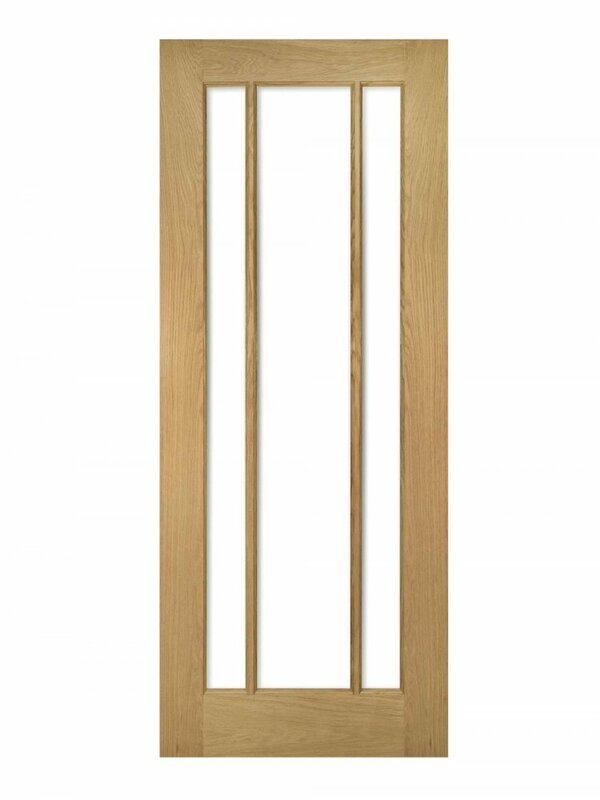 Available as a Fire Door (45mm) version and as a Standard model. 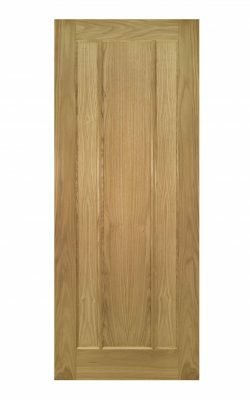 Deanta Norwich Unfinished Oak Bevelled Glazed. Stately design. Three 5mm clear bevelled glazed lights. Ideal for extra light transfer between rooms. 32mm trimming allowance. Also ideal for awkward openings.